Are you hosting a holiday event this year? If you are, read this post by Denver Cleanpro, so you can get your home properly ready for the joyous occasions! The holiday season is just around the corner! It is the time to enjoy with friends, family, and loved ones. Still, you may feel stressed at this time if you'll be having guests over to celebrate. To ease your mind and help you be sure you'll get your home ready for your holiday events, read and follow the tips below! Give Denver Cleanpro a call at 303 903 1261 to make your floors spotless for your parties with professional carpet cleaning in Denver, CO.
You want your house to put its best foot forward for the festivities, don't you? Well, if that's the case, get your home ready by cleaning the main rooms thoroughly, especially those where your guests will be wandering around (e.g., the kitchen, the dining room, the patio, the living room, and the bathroom). De-cluttering, wiping everything down, and caring for your home will help you have a nice night. Tied to the point made above, you should also do a bit of maintenance around your home to make it as safe and functional as possible for your holiday event. This is because a burnt light bulb, a faulty faucet, or a wonky door can put a damper on someone's evening and may even be dangerous. Do a quick inspection through your house and fix those minor details so your place can be perfect in time for your party. How will your guests know you're hosting a holiday party if you don't decorate your place? If you want your event to be a hit, pay attention to the look and feel of your place. For example, if you'll be having a fancy Christmas dinner, style the table in a cheery color palette, add twinkle lights around your home, and make your place as merry and bright as possible. Or, if you'll be having friends over for a New Year's Eve extravaganza, have party hats, sparkling tassels, and more to make the place extra festive. Your carpets will be the most valuable players in this situation, since they'll have to endure being stepped on, spilled upon, and much more. To make sure that they're ready for it, first keep them clean. You can vacuum them thoroughly or have a professional team, such as Denver Cleanpro, make them flawless for the party. It's also important that you protect them. To that end, you can make use of mats in high-traffic areas (such as the entryway). You may even want to decorate your floors with rugs to add an extra holiday decoration to your place and to keep the carpets safe. Get your carpets ready for the party with Denver Cleanpro and their unique carpet cleaning system. Call 303 903 1261 to set an appointment today! If you'll be having a lot of people over, it may be best to keep certain areas restricted. For example, it's likely that your guests won't have any business going through your bedroom, which is why you may want to lock it up before they arrive. Doing so will help you have a more chill and smooth holiday event. If you truly want to avoid mishaps in your party, you should also keep breakables and valuables away. Your electronics, expensive jewelry, ceramic ornaments, and even your prescription medication should be put in a safe spot to prevent an uncomfortable situation in this light and fun holiday season. Stains are very likely to happen at a party (especially if you'll be providing substances that can create a stubborn stain, such as red wine and chocolate). For that reason, you should prepare your upholstery, rugs, and carpets for such events. For example, you can use a stain repellent on your rugs, coaster for glasses and cups, or throws on your sofa to ensure you won't have an unwanted spot to ruin your night. Last but not least, you should keep your cleaning tools handy in case a spill does happen. While you probably don't want to stop having fun just to tend to a spill, simply blotting it will prevent the stain from setting in. 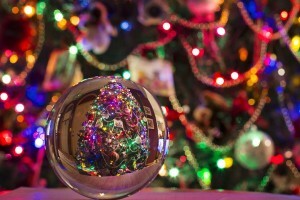 Remember that Denver Cleanpro is there for you during the holiday season. Call 303 903 1261 to request professional carpet cleaning in Denver, CO.